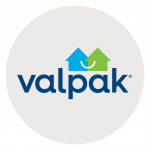 Let Valpak of Acadiana give you a digital presence strengthened by its connection to valpak.com. We offer business profile pages, website development, search engine optimization (SEO) and paid search features (SEM). As a full-service marketing agency, we can also promote your business on social media to get people talking and sharing. Valpak of Acadiana’s performance tracking measures marketing performance and response, giving you dynamic insight into your return on investment. Call us today to discuss budget-friendly ways to reach households in Lafayette, Broussard, Youngsville, Carencro, Scott and New Iberia. Also talk to us about advertising in Acadia, Vermilion, St. Landry and Evangeline parishes, as well as Houma, Thibodaux, and Lafourche Parish, Louisiana. For specific dates and coverage, contact your Valpak of Acadiana representative.